The Factory gives the opportunity for clients to personally choose their own rough block or the finished product such as internal and external coverings,tiles,building materials and funeral stones. 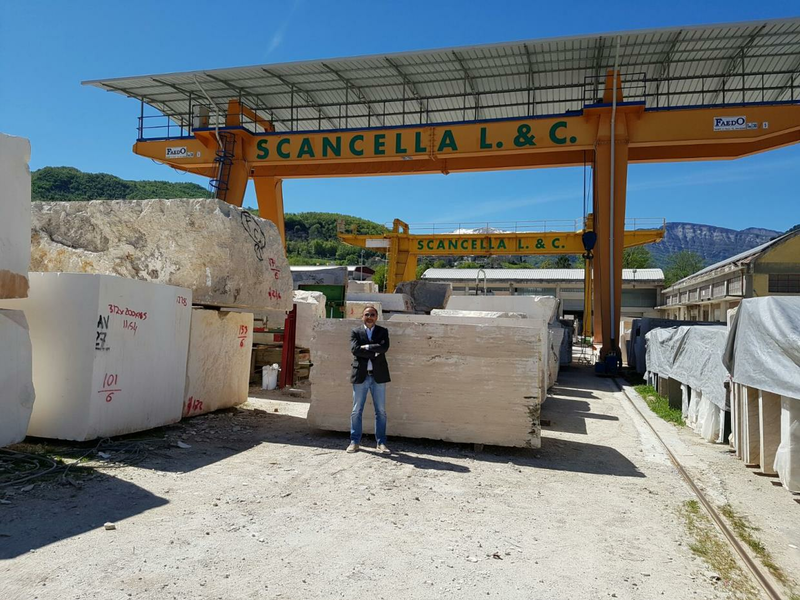 The factory of Scancella Lorenzo & C. based in Acquasanta Terme exports their own travertines, finished or rough blocks, all over the world. Fine marbles and travertines suitable for production of covering and tiles. The Scancella Lorenzo & C.are appreciated globally, and have many years experience producing specialized travertines. This is testiment to the high quality of the products. Born in 1963 as travertine cave, the Scancella Lorenzo & C. is a consolidated reality, point of reference not only for the district of Ascoli Piceno but also worldwide. Scancella Lorenzo & C. has always been characterized by professionalism, this is a stronghold handed down from generation to generation over time. The experience combined with continuous innovations have meant that the company's business is expanding in the global market of marble and granite. Scancella Lorenzo & C, dal 1963 tutta l’esperienza nella lavorazione di marmi e travertini al tuo servizio.